Thailand is known as the ‘Kitchen of the World’ for being among the largest food producers and exporters worldwide. The industry is now becoming greener, more efficient, and more socially-responsible. 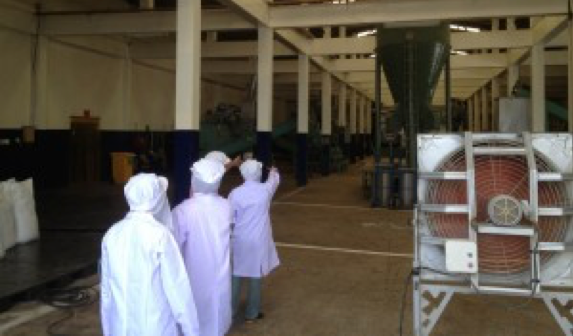 While factories in developing Asian countries are often associated with inconsistent quality control, adverse environmental impact, and unfair labour practices, Thailand is leading the way towards high quality standards in its food industry. Due to escalating energy cost, many production plants in Thailand are now moving towards energy efficiency production machineries and practices. In June 2013, the 4th edition of the Industrial Energy Efficiency forum was held in Bangkok, featuring 150 exhibitors from over 20 countries and showing Thailand’s innovation leadership in the region. Good food processing practices such as Lean Six Sigma, environment-friendly packaging design, and light conveyor systens that consume less energy also increasingly adopted in the country. The Thai government has also been actively promoting organic crops, and encouraging farmers towards organic produce. It has invested over a million US dollars over the past eight years, in both crops and food processing plants. The sector is now worth USD 12.8 million annually, and growing steadily at over nine percent worldwide each year. This growth has been helpful in directly reducing the quantity of harmful chemical and pesticides applied. Thailand has also raised the country’s minimum salary levels to THB 300 (approx. USD 10) a day in April 2012, a 40% increase in certain sectors. This increase will improve the living conditions of millions of workers and the overall social condition of the country, but also challenges producers to continually enhance the productivity of their plants through innovation.